Hundreds of thousands of people are expected to join a worldwide protest against the multinational biotech and agribusiness corporation Monsanto with rallies to be held in as many as 46 countries in various parts of the world. — AyL (@AyLibertad) 22 мая 2016 г. 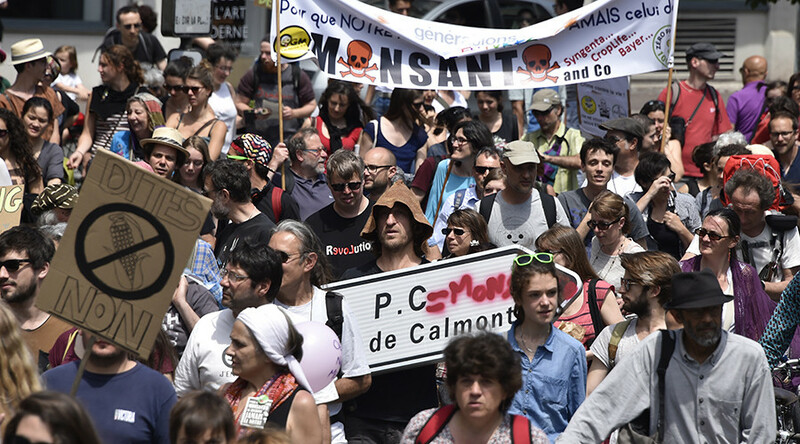 Supporters of Argentina’s left-wing Autodeterminación y Libertad [Self-determination and Freedom] party participated in the global march against Monsanto. Hundreds of protesters marched through central Amsterdam waving anti-Monsanto banners. Over a hundred protestors took to the streets of Quebec to join the global march against the biotech giant for the fourth year in a row. The year`s event was held under the slogan “Stronger than Monsanto!”"It is true that these are companies that are extremely powerful. But we want to remind the Quebec government that it is it who has the power,” said rally`s organizer Ariane Gagnon-Légaré, as cited by Québec Hebdo. — Louis Leo IV (@LouisLeoIV) 21 мая 2016 г. — Branko Obradovic (@BeingBranKOd) 21 мая 2016 г. — Carly (@CHiCAGO_CARLY) 21 мая 2016 г. — ॐ Brendan Sage (@Sage_Brendan) 21 мая 2016 г.